Author Archives: Debenu Pty. Ltd.
Want to create, render, print, secure, merge, split and manipulate PDF files with just a few lines of code on Windows, Mac, iOS and Android? Enhance your capability with Debenu Quick PDF Library: a powerful, royalty-free developer PDF SDK for adding PDF functionality to your applications. With more than 900 functions for use with C, C++, C#, Delphi (version 4 to XE8), Objective-C, Swift, Python, PHP, Visual Basic, VB.NET, ASP, PowerBASIC, Pascal and more – it’s like your ultimate PDF toolkit. Used by developers of all levels working with PDFs, it’s specifically useful for getting products to market faster. It includes a robust API, and is available in a variety of different editions for use on Windows, Mac, iOS and Android. 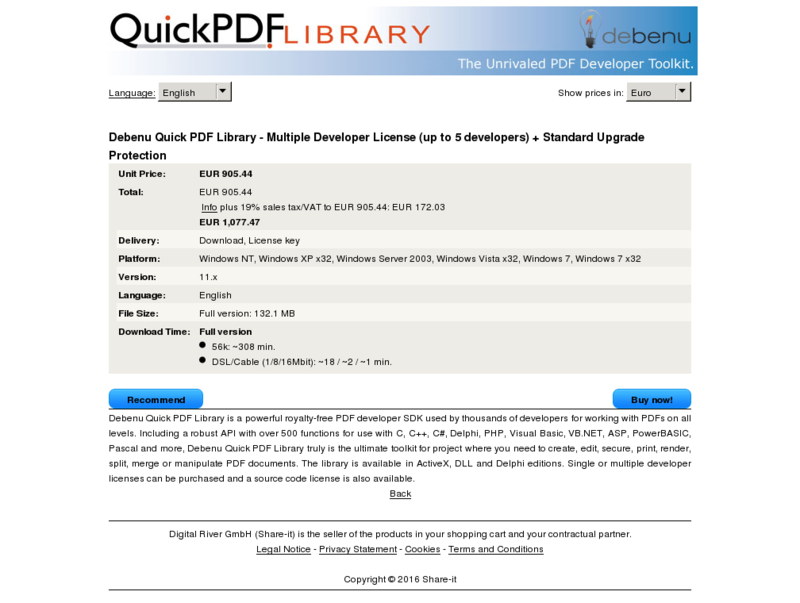 Debenu Quick PDF Library is a powerful royalty-free PDF developer SDK used by thousands of developers for working with PDFs on all levels. Including a robust API with over 900 functions for use with C, C++, C#, Delphi, PHP, Visual Basic, VB.NET, ASP, PowerBASIC, Pascal and more, Debenu Quick PDF Library truly is the ultimate toolkit for project where you need to create, edit, secure, print, render, split, merge or manipulate PDF documents. The library is available in ActiveX, DLL and Delphi editions. Single or multiple developer licenses can be purchased and a source code license is also available. 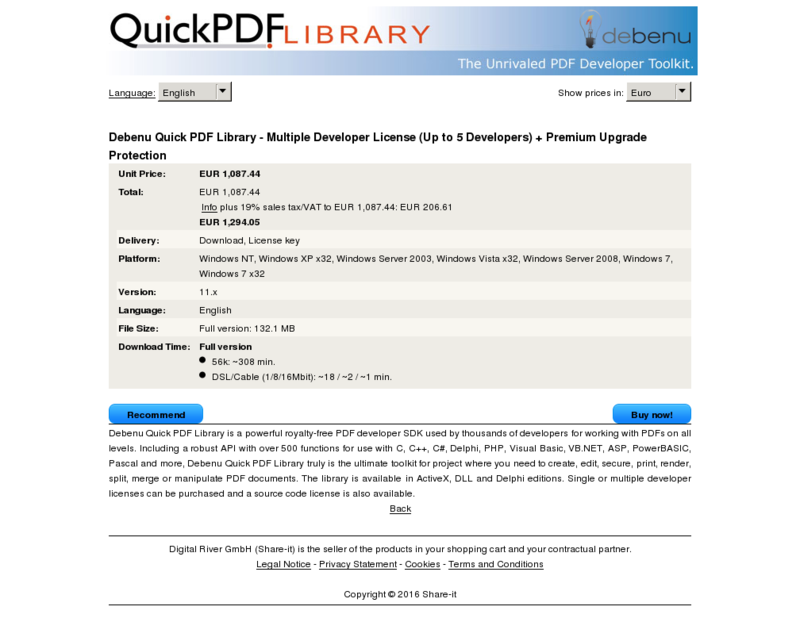 Debenu Quick PDF Library is a powerful royalty-free PDF developer SDK used by thousands of developers for working with PDFs on all levels. Including a robust API with over 500 functions for use with C, C++, C#, Delphi, PHP, Visual Basic, VB.NET, ASP, PowerBASIC, Pascal and more, Debenu Quick PDF Library truly is the ultimate toolkit for project where you need to create, edit, secure, print, render, split, merge or manipulate PDF documents. The library is available in ActiveX, DLL and Delphi editions. Single or multiple developer licenses can be purchased and a source code license is also available.